Just 48 hours before the City Council votes on the largest property tax hike in modern Chicago history, opposing aldermen received a compromise to benefit the city's taxi drivers through an added ride-share fee. Under the new amendment to Mayor Rahm Emanuel's budget proposal, ride-share companies like Uber and Lyft would be charged an additional 2 cents per ride to help cut registration costs for traditional cab drivers. The new fee is expected to raise $60 million per year. If it raises even more, aldermen want the extra money earmarked for hiring additional police officers. 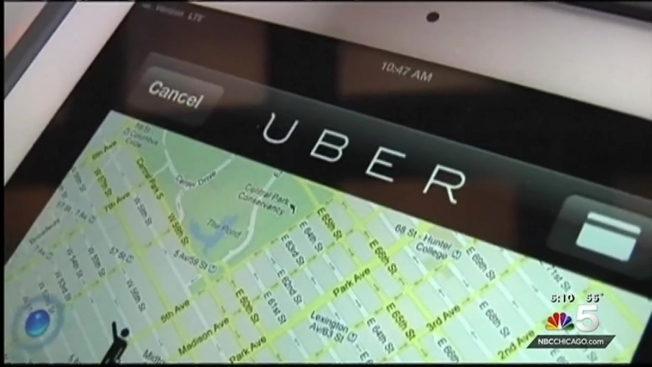 Additionally, the amendment allows ride-share drivers to pick up passengers at airports, but they must register with the city and pay $5 each time or face fines of up to $1,000. Not all cab drivers are happy with the amendment, however. Cab Drivers United/AFSCME Local 2500 released a statement Monday saying it didn't go far enough. "It's wrong to let big companies carve their own loopholes in laws that require licenses, training, background checks and other basic consumer protections, but that's exactly what's happening here," the statement reads. "It's dangerous, putting public safety at risk. It's unjust, allowing hugely profitable corporations to pocket millions of dollars that should support city services." The added 2-cent fee should help Emanuel gain enough "yes" votes from council members in Wednesday's meeting to pass the budget, which calls for a historic property tax hike as well as a $9.50 per month garbage collection tax and new fees for e-cigarettes. "I would not say (it's) a total compromise, but it is a huge, huge step in the right direction to bringing parity to these two industries trying to coexist," said Ald. Anthony Beale. A proposal to privatize the city's 311 call system was also included in the original budget plan, but the mayor axed it last week after several aldermen complained.